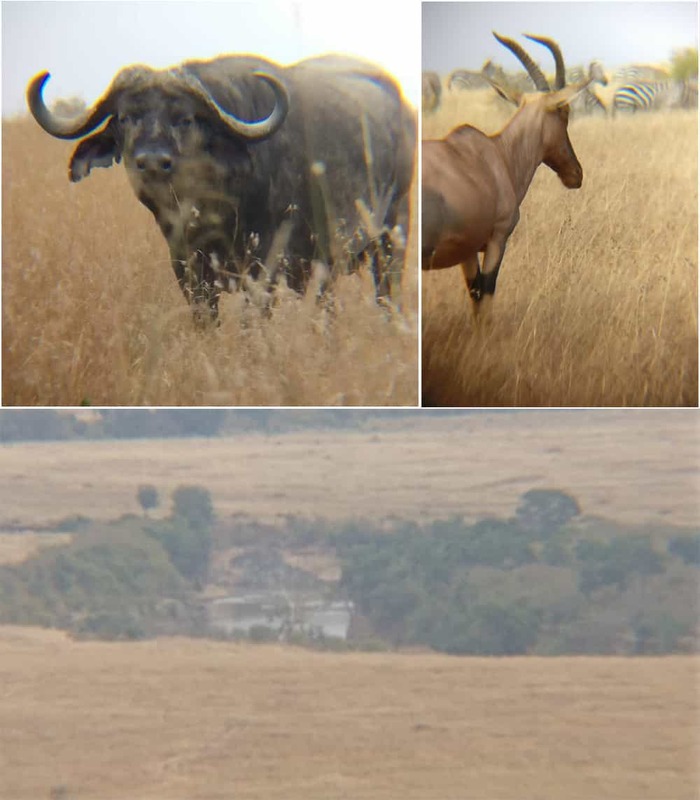 This is not a kit lens with a few different focal length lenses – this is a cell phone camera lens with a HUGE 20X zoom telephoto lens. The awesome 20X Zoom will get you close up with subjects that you would never get a decent enough picture with your cell phone. Yes you can get a great picture if you have a decent 35mm camera with a long zoom lens but the downside to that is the size of the camera, lens and other kit that you need to carry around with you. This lens you can carry in your pocket and easily clip on to the phone in no time at all. The sturdy tripod that comes with the lens is really great for holding the phone and lens steady. Pix can also be taken with a remote shutter release – also included in the package – this adds an extra level of steadyness that can be very useful when using a long telephoto lens. I recently bought this telephoto lens for a trip I was taking to Kenya. The pictures I have included were taken with my OnePlus3 smartphone and this telephoto lens. These animals were 100-150′ away. The cape buffalo is a very crisp and clear picture. I included the other picture to show you first the quality of the picture but secondly to show how important it is to align the camera on your phone. If you don’t align it correctly you’ll get the dark curved portion in your picture. It isn’t hard to align it but it can be a bit tedious and take a few minutes to get it just right. However, once you have it where you want it there is a screw that will tighten the lens on the phone and prevent it from shifting. The lens also come with a holder for your phone so you can mount the phone with lens on a standard tripod to ensure steady shots. The pictures above were taken handheld. Additionally the lens comes with a Bluetooth remote so you can take a picture without touching the phone/lens thus helping you to get that great shot. I was on a hill taking pictures of the Mara river in the distance. Several oriental guys came around and were admiring the telephoto lens. I thought that was a great testimony to this product. The third picture is one I took from the hill of the river. I estimate that I was at least a half mile away. The lens acts like a telescope. I also like that I don’t have to take my phone case off to use it. It also adjust easy so you can use on multiple devices. This was a great purchase. The tripod is amazing and with the remote shutter I am able to get the camera ready and then pose for a picture. I recommend this for family pictures. No need to take selfies when you you own this amazing product. This product is very light weight and easy to use and a great value.